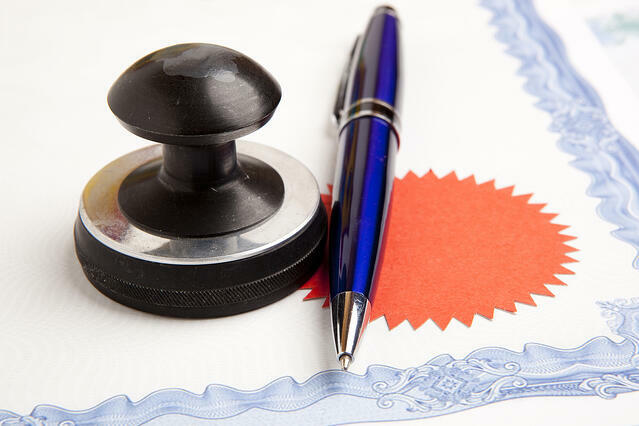 According to Michigan state law, individuals who wish to notarize and act as an unbiased witness to the signing of official documents must apply for a Michigan Notary Commission. Getting your Michigan Notary Public Commission means that you will be a licensed Michigan notary public for 6 years from the date of issuance. 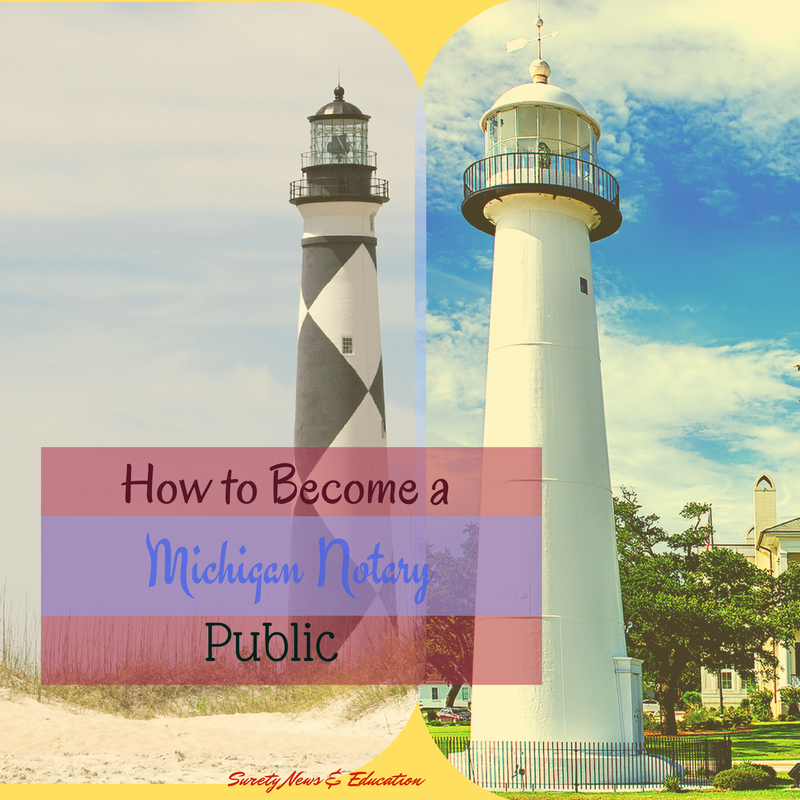 Before you begin looking at the application process, you will need to see if you qualify to become a Michigan Notary Public. For a complete list of qualifications, check out the Qualifications page on the Michigan Secretary of State website. As a Michigan Notary Public, you possess unlimited financial liability for each document you notarize. Many people often don’t take their role as a notary seriously, which is quite careless. Keep yourself out of trouble and save money by spending more time learning the Michigan state laws. Fill out all of the required information and sign the application exactly the same way your name is printed. A Michigan Notary Bond serves as a guarantee that you will faithfully and honestly perform your duties as a notary public. A Michigan Notary Bond is a requirement to become a Michigan Notary. “The Wolverine State” requires each of its notary publics to carry a $10,000 Notary Bond. The actual price you'll pay for your bond is a small percentage of the full bond amount. You can purchase a Notary Bond from a licensed surety bond provider like us. If approved, you will receive your commission certificate in the mail from your specific county. Upon approval, you will be qualified to purchase the necessary notary equipment and begin to act as a Michigan notary public. 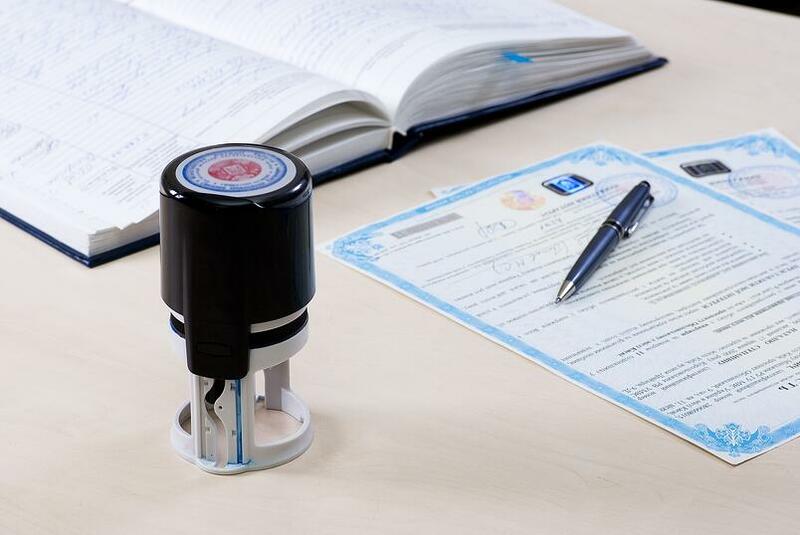 Select a professional, high-quality notary supplier like the Anchor Rubber Stamp. Anchor Rubber Stamp specializes in notary stamps, notary seals, notary books and notary products of all types. Each notary public term is for either a 6 of 7 year term. The term ends on the notary's birthday. For example, if your birthday is April of 2017, and you apply for a commission in October of 2016, your notary commission will expire on your birthday in 2024. Unfortunately, there is no shortcut for renewing your notary commission. You have to apply for a new commission no more than 60 days before your current commission expires. You will receive a renewal reminder and application around 90 days before your commission expires. Follow Steps 1-5 to Renew your Commission.